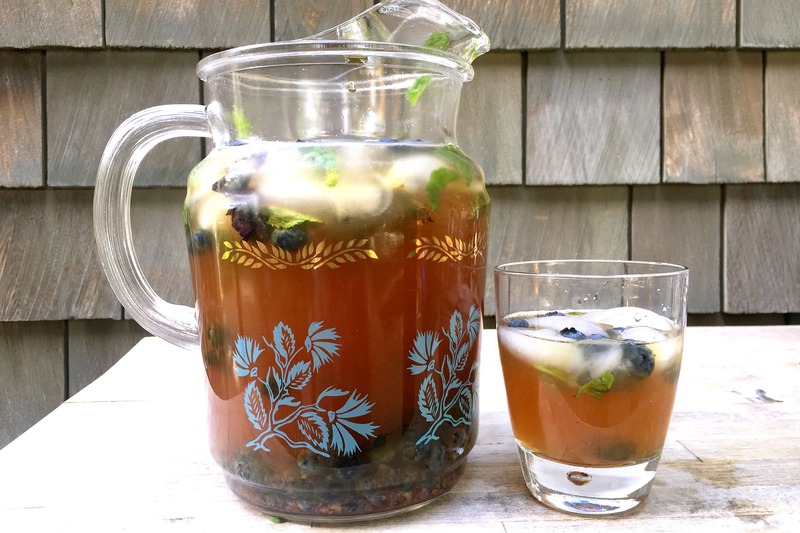 With blueberries so abundant in mid-summer in Canada, a jug of boozy punch that utilizes BC blueberries seemed to be in order. Blueberries work will with the herbal and citrus flavours in the Pimm’s and it’s always nice to have a fruity snack right inside your cocktail! Put the blueberries and mint in the bottom of a 8 cup/2 L pitcher. Muddle them gently with the back of a wooden spoon (or a bar muddler if you have one) so that some of the blueberries are squished and release their juices, but about half of them are still in tact. Add the ice cubes to the pitcher and pour in the lemonade and Pimm’s (use less Pimm’s if you’d like the drink to be lighter in alcohol). Top with the club soda or sparkling water. Pour the punch into individual glasses and garnish with more mint and blueberries. Serve with additional ice if the weather is warm.